It seems like it’s almost every day that the news reports another major company outage and as a result, the massive operational, financial and reputational consequences experienced, both short- and long-term. Widespread systemic outages first come to mind when considering disasters and threats to business and IT service continuity. But oftentimes, it’s the overlooked, “smaller” threats that regularly occur. Human error, equipment failure, power outages, malicious threats and data corruption can too bring an entire organization to a complete standstill. It’s hard to imagine that these organizations suffering the effects of an outage don’t have a disaster recovery plan in place — they most certainly do. But, why do we hear of and experience failure so often? 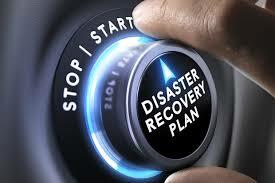 At the heart of any successful disaster recovery plan is comprehensive, up-to-date documentation. But with digital transformation placing more reliance on IT, environments are growing larger and more complex, with constant configuration changes. Manually capturing and documenting every facet of IT critical to business continuity is neither efficient or scalable, sending to us our first downfall. Frequent, full-scale testing is also critical to the success of a thorough disaster recovery plan, again considering the aforementioned scale and complexity of modern environments — especially those that are multi-site. Paired with the resources required and potential end-user impact of regular testing, the disaster recovery plan’s viability is often untested. The likelihood of a successful failover — planned or unplanned — is slim if the disaster recovery plan continues to be underinvested in, becoming out-of-date and untested quickly. Mismatched dependencies, uncaptured changes, improper processes, unverified services and applications and incorrect startup sequences are among the many difficulties when committing to a failover, whether it’s a single application or the entire data center. While it is the effects of an IT outage that first come to mind when considering disaster recovery, one aspect tends to be overlooked — compliance. Disaster recovery has massive compliance implications — laws, regulations and standards set in place to ensure an organization’s responsibility to the reliability, integrity and Availability of its data. While what constitutes compliance varies from industry to industry, one thing holds true — non-compliance is not an option and brings with it significant financial and reputational risks. Meltdown & Spectre: Where Are We at Now? Meltdown and Spectre still continue to dominate the security news and the more we delve into it, we are starting to understand the depth and breadth of what this now means for the future of the security landscape. Of the two, Meltdown is the easier one to mitigate with operating system updates. AMD processors are not affected by Meltdown. Spectre is a bit more complex to resolve because it is a new class of attack. The two variants of Spectre both can potentially do harm like stealing logins and other user data residing on the affected device. Intel, ARM, and AMD processors are affected by Spectre. Recently, Microsoft released another emergency update to disable Intel’s microcode fix. This original update was meant to patch for variant 2 of Spectre. Unfortunately, that update had adverse effects as there were numerous reports of reboots and instability, so Microsoft issued an out of band update to disable. http://www.netcal.com/wp-content/uploads/2018/02/10-Fundamentals-to-Fight-Breach-Fatigue.png 300 1000 Conal Mullan http://www.netcal.com/wp-content/uploads/2015/11/netcal_logo2.gif Conal Mullan2018-02-15 08:31:072018-02-15 08:41:37Meltdown & Spectre: Where Are We at Now? Earlier this month, CES attendees got a taste of the future with dazzling displays of toy robots, smart assistants, and various AI/VR/8K gadgetry. But amid all the remarkable tech innovations on the horizon, one thing is left off the menu: user privacy. As we anticipate the rocky road ahead, there are three major pitfalls that have privacy experts concerned. Biometric authentication—using traits like fingerprints, iris, and voice to unlock devices—will prove to be a significant threat to user privacy in 2018 and beyond. From a user’s perspective, this technology streamlines the authentication process. Convenience, after all, is the primary commodity exchanged for privacy. Mainstream consumer adoption of biometric tech has grown leaps and bounds recently, with features such as fingerprint readers becoming a mainstay on modern smartphones. Last fall, Apple revealed its Face ID technology, causing some alarm among privacy experts. A key risk in biometric authentication lies in its potential as a single method for accessing multiple devices or facilities. You can’t change your fingerprints, after all. Biometric access is essentially akin to using the same password across multiple accounts. That’s not to say that biometrics are dead on arrival. Privacy enthusiasts can find solace in using biometrics in situations such as a two-factor authentication supplement. And forward-thinking efforts within the tech industry, such as partnerships forged by the FIDO Alliance, can help cement authentication standards that truly protect users. For the foreseeable future, however, this new tech has the potential to introduce privacy risks, particularly when it comes to safely storing biometric data. 2017 was kind of a big year for data breaches. Equifax, of course, reined king by exposing the personal information (including Social Security Numbers) of some 140 million people in a spectacular display of shear incompetence. The Equifax breach was so massive that it overshadowed other big-data breaches from the likes of Whole Foods, Uber, and the Republican National Committee. It seems no one—including the government agencies we trust to guard against the most dangerous online threats—was spared the wrath of serious data leaks. Unfortunately, there is no easy remedy in sight, and the ongoing global invasion of user privacy is forcing new regulatory oversight, such as the upcoming GDPR to protect EU citizens. The accelerated growth of technology, while connecting our world in ways never thought possible, has also completely upended traditional notions surrounding privacy. The months ahead beg the question: What magnitude of breach will it take to trigger a sea change in our collective expectation of privacy? The third big issue that will continue to impact privacy across the board is the current lack of young talent in the cybersecurity industry. This shortfall is a real and present danger. According to a report by Frost & Sullivan, the information security workforce will face a worldwide talent shortage of 1.5 million by 2020. Some of this shortfall is partly to blame on HR teams that fail to fully understand what they need to look for when assessing job candidates. The reality is that the field as a whole is still relatively new and is constantly evolving. Cybersecurity leaders looking to build out diverse teams are wise to search beyond the traditional background in computer science. Webroot Vice President and CISO Gary Hayslip explained that a computer science degree is not something on his radar when recruiting top talent for his teams. “In cyber today, it’s about having the drive to continually educate yourself on the field, technologies, threats and innovations,” said Hayslip. “It’s about being able to work in teams, manage the resources given to you, and think proactively to protect your organization and reduce the risk exposure to business operations. Beyond shoring up recruiting practices for information security roles, organizations of all types should consider other tactics, such as providing continual education opportunities, advocating in local and online communities, and inevitably replacing some of that human talent with automation. Spammers on social media are masters of their craft and their tactics are demonstrably more effective than their email-based counterparts. According to a report by ZeroFOX, up to 66 percent of spear phishing attacks on social media sites are opened by their targets. This compares to a roughly 30 percent success rate of spear phishing emails, based on findings by Verizon. Facebook has warned of cybercriminals targeting personal accounts in order to steal information that can be used to launch more effective spear phishing attacks. The social network is taking steps to protect users’ accounts from hostile data collection, including more customizable security and privacy features such as two-factor authentication. 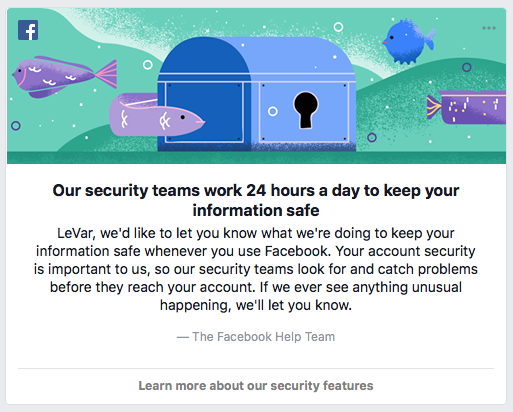 Facebook has also been more active in encouraging users to adopt these enhanced security features, as seen in the in-app message below. The rise of social media has changed the way customers seek support from brands, with many people turning to Twitter or Facebook over traditional customer support channels. Scammers are taking advantage of this by impersonating the support accounts of major brands such as Amazon, PayPal, and Samsung. 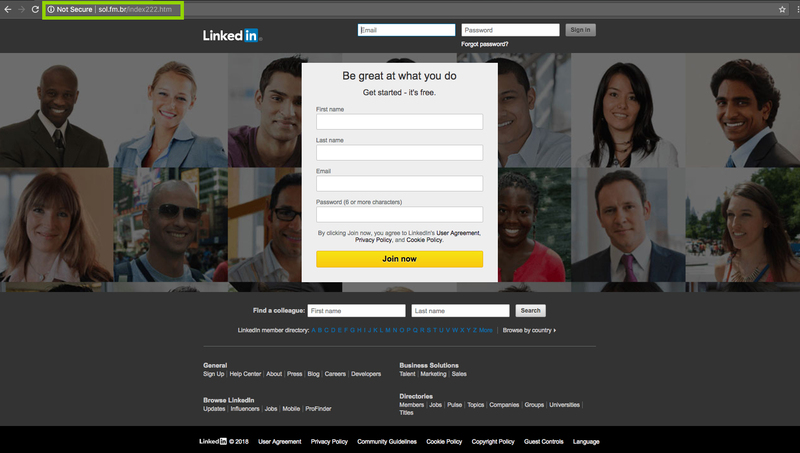 This tactic, dubbed ‘angler phishing’ for its deepened deception, is rather prevalent. A 2016 study by Proofpoint found that 19% of social media accountsappearing to represent top brands were fake.